If you enjoy getting creative, working with technology and producing a useful product, a career in the packaging industry could suit you. We partner with your industry association PrintNZ and members of your industry to help recruit and build talented employees. This support includes promoting careers in your industry, identifying potential apprentices, and encouraging work placements. We also ensure your industry’s qualifications continue to meet needs, support industry events like the annual PrintNZ conference and celebrate your learners’ success, including as a joint venture partner in the annual Print Industry Apprentice of the Year Awards. 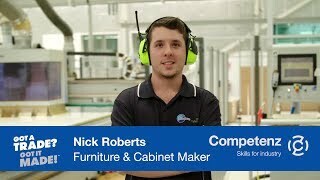 Competenz has different training options to suit the needs of your staff and the equipment in your workplace. These include completing an apprenticeship, a shorter training programme or just one or two modules. The length of time it takes to complete the training will vary depending on which option is chosen. Most of the learning for printing and binding and finishing qualifications is completed on the job. Depending on the area of training selected there may be the requirement to attend a short course. Your account manager will advise you on these as necessary. The Level 5 Diploma in Management – Print is a great way to advance your career in the fibreboard packaging industry. If you already work or are planning to work in production, administration, sales or management, this is the ideal way to advance your knowledge, skills and qualifications for the present and future. This diploma has been designed with flexibility, understanding you already have busy jobs. It is also challenging. Like stepping into a management role, the diploma is a step up from apprenticeships you may have done in the past. The Diploma in Management – Print is a flexible qualification, providing several options depending on whether you wish to complete just a few papers, or the full diploma qualification. You may be able to have previous study cross-credited to this qualification.